Socializing your dog is important at a young age and having other pets at home will let him get used to them the first day he comes home. 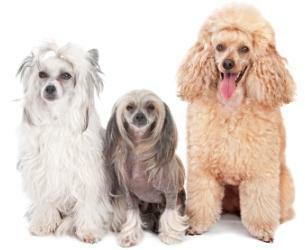 If you already have a dog or cat at home, introduce your poodle gradually. If there is another dog in the household, leave him and the new pet in separate rooms when you're not around. When you are around, let them interact with each other and with you. 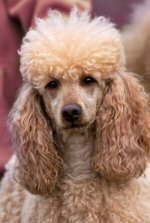 Poodles, like all dogs, are susceptible to jealousy, so be sure to give your poodle as much (or more!) attention as the other pets get. It's best to feed your new dog separately from your other pet for awhile. Dogs can become protective of their food, and it's best for your new pup to be able to eat in peace. As for dog and cats, many people say their toy poodle is like a cat at times when it doesn't crave human attention. 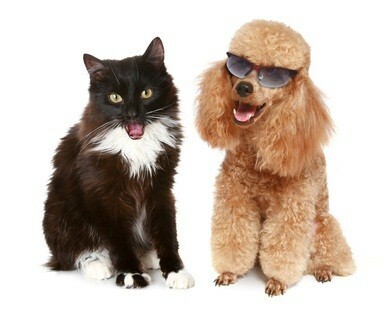 As a result, with proper socialization and gradual introduction, poodles and cats can actually become friends. Not all will, as each animal has it's own distinct personality. If you have a cat and bring your pet home, keep them in separate rooms for a day. Then put your poodle in his crate, and let your cat warm up to the new guy in the crate. Then take your dog out of the crate and hold him while your cat wanders over. It may take days of this before your cat warms up to your dog. Have a room your cat can go to get away from the dog. Keep them separated when eating and when your cat is using the litter box. And, what about dogs and kids? 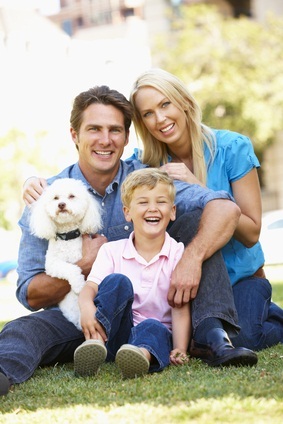 If you have young children at home, teach them pet etiquette as soon as puppy comes home. No pinching, hitting, tail pulling or ear pulling. Your pet will become distrustful of the kids, and those actions physically hurt the puppy. When his patience and pain level run thin he could snap and/or bite your children. When socializing your dog, use caution with small pets like pet mice, ferrets, guinea pigs and rabbits. Poodles have a chase instinct and could see these little animals as a prey to chase and hunt down. Keep them in separate rooms and your small furry friends caged up when you're not home. Let your puppy play with other puppies which helps to socialize her and curbs aggressiveness with other dogs. Introduce her to your friends and other family members not living at home which helps her expand her circle of humans - which helps her be less afraid of people who visit your home. It helps her become well adjusted with a positive and friendly disposition. Treat her with love and respect in order for her to gain trust in people. As for other ideas for socializing your dog, you can check into puppy kindergarten classes to socialize your puppy with other animals. Call an animal shelter, kennel club or dog training organization to see if they have them or know of someplace that does. Your puppy is a baby and will have to be taught the house rules. Expect her to explore her new area with the energy and curiosity of a young one. Don't get mad at her for something that she knocks over or something she sees and grabs to play with. They're young and curious! We came home one night from being out to dinner to see toilet paper all over the house! Holly had grabbed the end of the toilet paper and somehow managed to drag it through each room without it breaking! It was too funny to get mad about; we understood that's what puppies will do! Socializing your dog and integrating a new poodle puppy with other household pets and members of the family may take a little time and patience, but it will be well worth it to have a loving and harmonious household.